Don't know how to use quinoa grain? 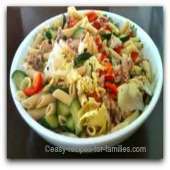 It's not just a super food, it's easy to cook and makes sensational salads and sides. 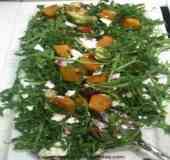 Let's learn to make this beautiful salad. 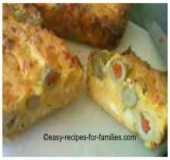 This recipe gives the main photo instructions on how to make this delicious and divine looking dish, but should you wish to see each step in detail, just follow the "Learn How" links. Created the layered sides on each dinner plate. Serve as a sides with the hero dish or if this is the mains, make two. 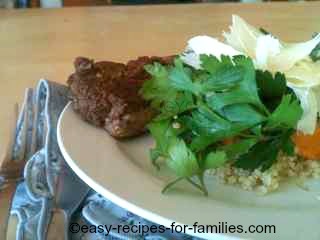 We enjoyed this wonderful quinoa dish as a sides with pan fried seasoned pork chops. Absolutely terrific! 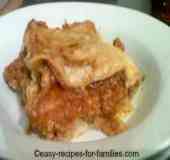 This recipe makes 2 main sized servings or 4 sides. 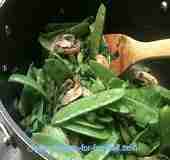 •	After turning the heat off, leave the lid covered for a further 5 to 10 minutes. •	Fluff with a fork and the delicious quinoa is ready to serve. 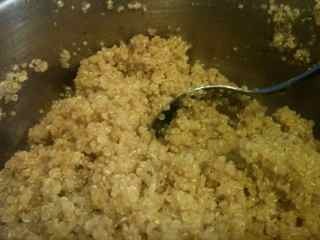 I've found quinoa grain to be easier to cook than rice as rice does tend to stick to the pan. 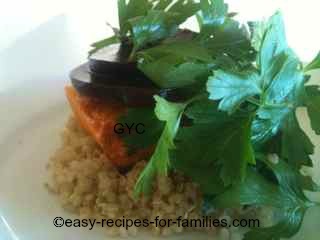 There's no question this grain is much healthier for us being a low GI food and it is so versatile to cook with. I love recipes like this which are cobbled together from bits of delicious left overs. All that was cooked fresh for this wonderful combination of flavors was the quinoa. 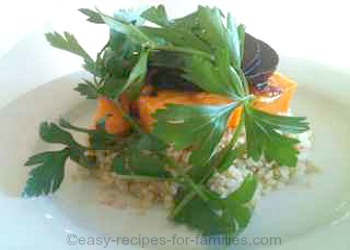 Leave Making This Salad With Quinoa Grain to be inspired by hundreds of delicious easy recipes!